Liquor law - The Wine and Spirits Board has legislated changes to brandy production laws. 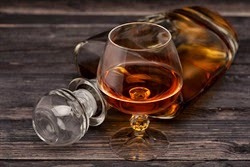 The changes seek to protect brandy's position in the local market by enforcing stricter requirements on how the two styles of brandy - vintage and potstill - are made. Top-end potstill brandy competes directly with single malt whiskies and cognac. Single malts must be 100% malt spirit and cognacs must be 100% pot distilled. The local brandy industry wanted similarly stringent parameters for what constitutes a pot stilled brandy to reflect the already extremely high standard of our offerings."